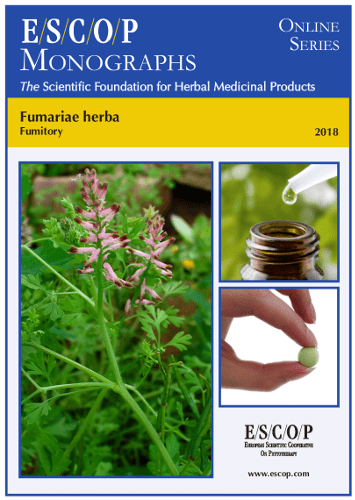 The herbal monograph selects and summarises scientific studies and textbooks regarding efficacy, dosage and safety to support the therapeutic uses of fumitory. 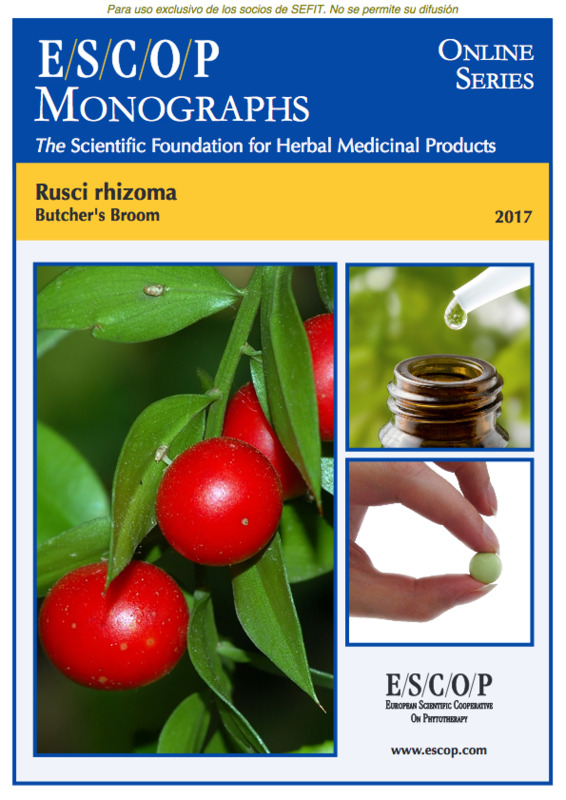 This herbal drug by definition consists of dried aerial parts of Fumaria officinalis L.
Studies with its main characteristic constituents isoquinoline alkaloids of the protopine, spirobenzylisoquinoline, protoberberine, benzophenanthridine and indenobenzazepine types, also fumaric and malic acids are included. The therapeutic indications are digestive complaints (e.g. stomach ache, nausea, vomiting, feeling of fullness, flatulence) due to hepatobiliary disturbance. Administration of fumitory addresses posology; its duration of use; contra-indications; special warnings; special precautions for use; interactions with other medicinal products; other forms of interaction; in pregnancy and lactation; its effects on ability to drive; undesirable effects; overdose. In vitro experiments with fumitory demonstrated smooth muscle-relaxing effects, effects on the bile duct as well as antibacterial, antioxidant and neuroprotective effects. In vivo experiments with fumitory or its extracts demonstrated hepatobiliary, diuretic, choleretic properties, reduction of gallstones and prevention of arrhythmia in animal models. Pharmacological studies in humans observed effects on choleresis and normalization of bile flow. Controlled clinical studies with fumitory demonstrated its use in patients with biliary disorders of various origin. Overall improvements of symptoms in these studies was excellent or good. Safety data were assessed in human studies. Tolerability of the treatments was very good, only minor adverse events were reported. 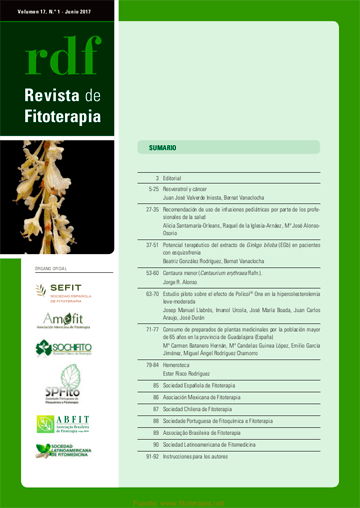 The selection of literature cited in the monograph is aimed at bringing together relevant information about the possible physiological roles of fumitory and its major constituents.